Being a California girl, these long, white tables remind me of some amazing wine country dinners. Just that type of bucolic dinner is coming here to Bainbridge Island on October 2nd. Nationally acclaimed Outstanding in the Field, a roving, restaurant-without-walls experience, whose mission is to reconnect diners to the land and origins of their food, will be orchestrating the evening dinner. This fall their trademark red and white bus will find its way to the south island’s beautiful, Tani Creek Farm. With the majestic backdrop of the farm itself and Puget Sound, there will be no such thing as a “bad table.” Tani Creek Farm, is known locally for its organic veggies, and is a proven forerunner in biodynamic farming and an innovative solar heating system. The chef for the evening dinner is Brendan McGill of the new Bainbridge Island’s, Hitchcock Restaurant. The Outstanding in the Field team and McGill will use locally grown ingediants for this creative event. Music and after dinner dancing will be provided by Ranger and the Re-Arrangers. 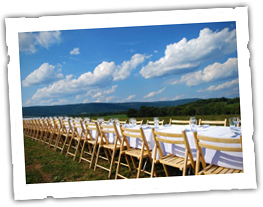 Tickets for the evening dinner, farm tour and dancing/music are $200 per person – and are limited. Price includes a reception, multi-course meal with wines, and gratuity. Net proceeds from this event will go to the Kitsap Community and Agricultural Alliance to help promote links between Kitsap farmers, producers, restaurants, and consumers. If celebrating community though food sounds like a unique and amazing evening to you (I know it does to me) check out the ticket information on the dinner and for fun, you should check out Outstanding in the Field themselves – they travel the country and have put on some show-stopping dinners. The farm dinner is just one facet of the Island Wine Weekend on Bainbridge from October 1st-3rd. There will also be a street party, field tours, and a winemaker’s brunch. 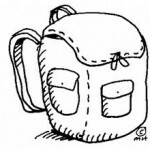 Project Backpack is sponsored by Helpline House on Bainbridge Island. Each year they furnish school supplies to between 150-225 school children in the area. Last year, in 2009, they provided supplies for 193 students. Below is a list of the most needed items. Pick up a couple extra items while you are out shopping for your own kids – and drop them off at Helpline House by Friday the 20th. Note: they have sufficient supplies of crayons, blunt tipped scissors and bottled glue from past year's program. Donations may also be dropped off at Island Fitness, Bainbridge Athletic Club, Paper Products, Viking Bank, Curves, Ace Hardware, Eagle Harbor Books, Sound Reprographics or Silver Screen Video. Helpline House offers an umbrella of social services and invites the community to become part of the circle of giving and receiving help. Founded in the 1960s as a food bank in response to the "war on poverty", this community-funded non-profit agency provides a full range of services: food bank, clothing bank, medical equipment for loan, social work advocacy and consultation and referrals to counseling. Basic services are provided cost-free to those in need. Needs are defined broadly, and are not always financial. Any community member in crisis or in need of social work consultation, volunteer opportunities or other service is welcome at Helpline House. Helpline is conveniently located in Winslow on Knechtel Way which is halfway between Winslow Way and High School Road. You can access Knechtel either from Erickson Avenue or Madison Avenue and will see our sign on the street as you drive down Knechtel Way. Information above about Helpline House courtesy of the Helpline House Website. 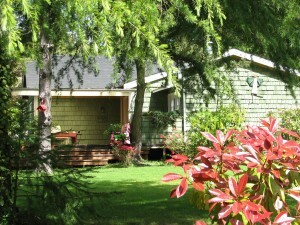 Helpline House is an amazing resourse on Bainbridge Island. 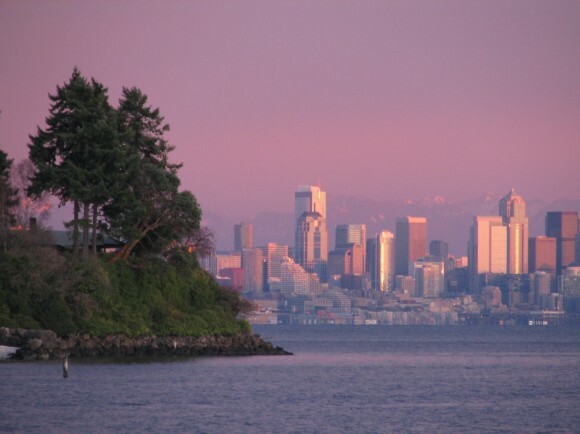 The supportive community we live in is a benefit to all who call Bainbridge Island home. 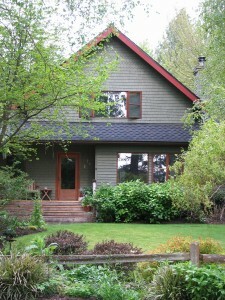 Helpline House is one of the three charities I support on Bainbridge Island after each real estate transaction I close. The Wing Point Golf Course and a home in the Wing Point/North Hill Neighborhood. Wing Point with Seattle in the background. The Wing Point Neighborhood is one of the closest neighborhoods to the ferry. The neighborhood is adjacent and east of the city-center Winslow area. The land juts out to a point at Wing Point and Yeomalt Points and the Wing Point Neighborhood makes up that central area around the points and the actual Wing Point itself. Wing Point is best known for its amazing waterfront homes and for the private Wing Point Country Club, which has a golf course, tennis, swimming and a restaurant. 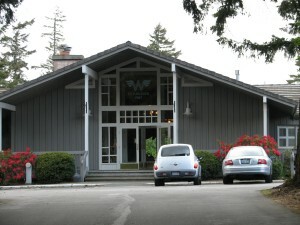 The Wing Point Country Club. Popular beach access at Hawley Cove Park is on Wing Point Way. A well-built trail leads you down to the beach, a great spot to watch the ferries come and go. There is also a tot-lot play park on the corner of Aaron Avenue and Grand Avenue. 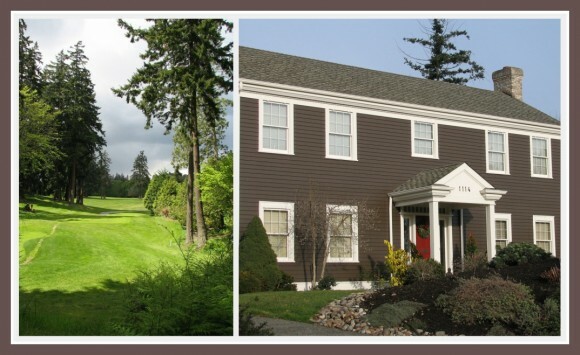 Many homes in Wing Point line and back to the golf course, are waterfront or have water/Seattle views. There are homes on streets like Cherry Avenue, Alder Avenue and Wing Point Way that do not back to the golf course, or have views. Many of the homes built up around the golf course were built in the 90’s. Waterfront and water view homes on Wing Point Drive and Wing Point Road vary in ages, many built from the 70’s forward. 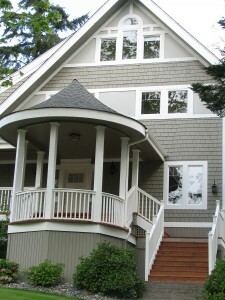 Homes in the Wing Point Neighborhood, on Aaron Avenue, Madrona Avenue and Wing Point Way. So, I got this new camera for my birthday. . .
And, then I went sailing . . .
and went back to the Farm Kitchen in Poulsbo . . . and went crabbing on Point White Pier . . . I’ve generally been having a summer, with my new Nikon in tow. I am happy to have finally entered into the DSLR world. However, my new camera is for taking shots of family, friends and for blogging. I will still leave the photographing homes for my listings to the awesome professional photographers and their giant lenses that cost 3X what my lil’ ole’ camera kit cost. So, the sun has shone itself this summer . . . I have proof. We’ve had some amazing sunsets, the evening shots above are from Point White. Have you ever been on a 70 foot sail boat? I hadn’t either until last month. 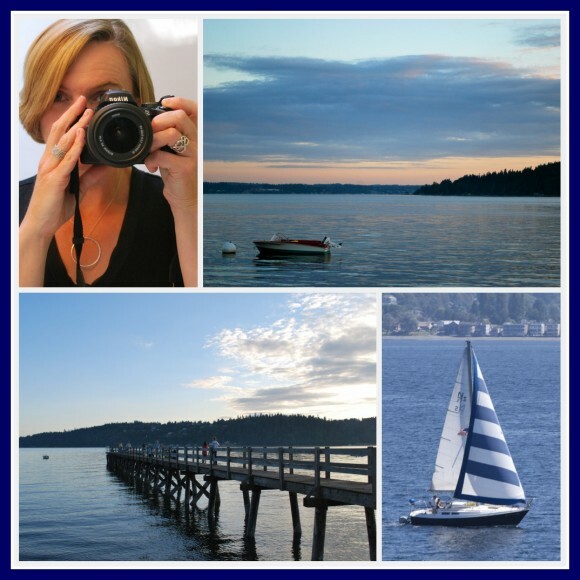 I highly recommend you check out Let’s Go Sailing in Seattle. 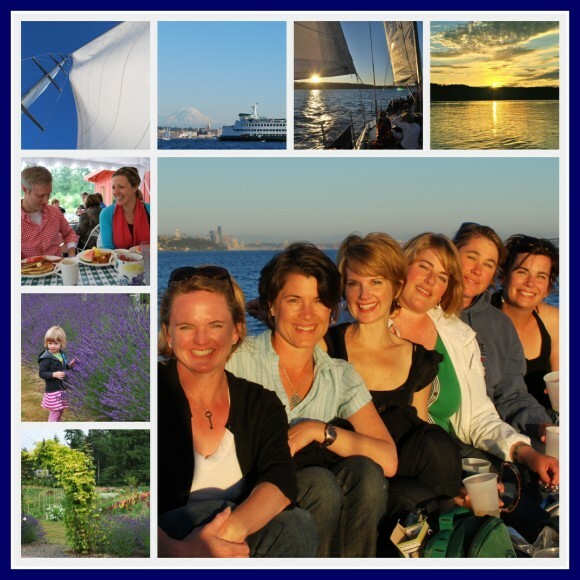 Pictures from our evening sail above and of the Farm Kitchen with friends this past weekend in Poulsbo. The Farm Kitchen is still lovely, even in the August rain. This time we enjoyed the amazing summer flowers in bloom . . . and the buttermilk pancakes and thick-cut bacon weren’t too bad either.